Hi all, I've posted a couple of times on here previously. My story briefly is as follows: I'm in my early thirties, and have been noticeably losing my hair since around 2006 (so 10-11years), with the most rapid loss between 2012 and 2014. My father is a NW5 slowly progressing to a 6 (but he is 70! ), I'm probably a NW5 too at present but progressing towards an NW6. My maternal grandfather had a full head of hair (maybe a NW2 or NW3 at worst), my paternal grandfather didn't (probably a NW6). Despite noticing my hair loss for the past decade or so, I haven't really taken any action. In 2011 I trialled minoxidil for 6 months, however stopped taking it after this time due to palpitations. It worked well, I noticed new hairs forming (in my hairline), however after I stopped taking it I noticed dramatic loss in a couple months or so (hence my worse loss probably being around 2012-2013). I never tried finasteride; I know, people are going to say; "why not?" or "just give it a try!". It's purely a personal decision; I do not wish to undergo any of those side effects nor have to take a pill for the rest of my life. If this stops me from getting a great result, then so be it. However, I am perhaps willing to try 1mg of Propecia 3x/week; that way it would be much cheaper and also I would hopefully at less risk of sides (it’s not just the sexual ones which concern me, I have a very high functioning job, and need to be on my A game all day; I don’t want the cognition side effects either). Anyways, I decided I would probably need multiple HT in 2013 and enquired at H&W with David Anderson. He was very amicable and he followed me up until 2016 when he left. I actually booked a 4500+ FUT megasession with Dr. Hasson, however unfortunately I had to cancel this due to no longer being available at the dates I had booked (as I would have to fly to Canada and back this was not possible in the short amount of time I had off). I was also uneasy about undergoing FUT due to the scar. I have already told myself as a last resort that if my hair gets really bad I will just have to keep it really short or buzzcut it, this would not be possible with FUT (and is just about a possible with FUE); I understand that FUE leaves scars too, don’t worry. They were very kind and considerate about all this and I thank them and their whole team for their professionalism. For sure if I needed a FUT they would be the first point of call; I had been researching for the last 5 years or so, and they definitely seemed the top. I then went researching for a surgeon who did FUE who was close by but affordable. My research brought up several familiar names: Lorenzo, Bisanga, Lupanzula and Erdogan. These (location wise) would all be feasible in my very limited time off and all their work shows great skill. However Lorenzo never replied to my emails until several months later and I decided I didn't want to fly in the end so ruled Spain (& Lorenzo out) and Turkey out and thus Erdogan. This left both Lupanzula and Bisanga as my top choices, they both had my dates available, and if I am correct Lupanzula worked previously with Bisanga? I was able to consult with Dr. Lupanzula over Skype however unfortunately logistically I was unable to meet him, however I was able to actually meet Dr. Bisanga in person and this definitely swung it for me. He was very amicable, and has many have commented he doesn't promise you the world, he is very realistic, conservative (the good kind! ), honest and ethical. We decided that 3000-3500 grafts would be most appropriate with them concentrating on rebuilding the hairline and the frontal third. As you can see from my photos, the crown is also very bare, but I will have to therefore have another HT to potentially sort this out in the near future ± try propecia 3x a week. I was classed as a NW4V although I feel my hair is worse than that; it was probably made difficult for the doctor as I had my hair very short at the time of the consultation. In my eyes, hairline > crown coverage due to framing of the face.etc. My hair is quite thin, and my head is quite large, therefore I am not sure what sort of coverage I would need to get a good result, but thankfully my donor density was rated as decent with 80FU/cm2 all around. So, tomorrow I will have the first session of 3000-3500 grafts and then revisit my hair in 2 years time to either work further on the front, midscalp or deal with the vertex; depending on how much reserve I have. I’ll try to keep updated! Photos below are from January time; I can update with clinic photos tomorrow. I've been approved for a Shapiro Medical Group FUT/FUE study! All, Thanks to all who helped me with their feedback and even by sharing their experiences. I have scheduled my procedure with Dr. Bhatti on Dec 7 2017, which is tomorrow. I'm anxious but excited at the same time. 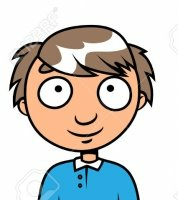 As you all know, I communicated with lots of Doc's and there was a separate thread on that http://www.hairrestorationnetwork.com/eve/188136-need-suggestion-planning-hair-transplant-soon.html After carefully reviewing their recommendations, I have decided to go with Dr. Bhatti. Thanks to Shera and David for their timely and valuable support. Day -1 I flew on 5th to India and 6th to Chandigarh, Dr,Bhatti's driver picked me up from the airport and took us to the clinic where all the formalities before the procedure are taken care. I had my consultation with the doc. We worked on the hairline and revisited the grafts recommendation. It would be somewhere around 2200-2500. Day 0 Its almost 3:30 am here and waiting to be picked up by the driver at 6:30...I will keep you guys updated.... Thanks all again. Hi all! I hope my story and experience helps hair loss guys like myself know that there are options out there, after many years of research and seeing fellow professionals have a hair transplant it gave me the guidance and hope that I could get my locks back. Having been a professional footballer, I know what confidence can do for a player and hair loss has certainly knocked my confidence in the past. Playing in the premier league for over ten years allowed me to have the confidence however I have to admit, losing hair certainly knocked my confidence and I can now see why Rooney and even my former room mate David Beckham seem to do what they can to keep hold of their hair. No shame in this, even though in the UK there seems to be a stigma attached to guys and even women looking for ways to help with their hair loss problems.I have been researching the past few years at clinics in the UK and abroad with the help of forums. After numerous consultations I picked The Hair Dr Clinic in Leeds, a few reasons really for this choice, I was never pushed into making a decision, the surgeon was honest with his expectations and what really did it was he wanted to educate me on all my options and said come back if I wished. I found the approach, support, professional aspect and caring environment made me confident in choosing this clinic. I know through research that my donor area is quite weak and if I were to have a procedure it would be to frame the face and mid section in which I would be happy with as I like my hair short. The aim was to use my donor area and beard area to extract the grafts to achieve this. I felt confident this could be achieved and even got to meet some of Dr Arshad's patients in which the work looked great. 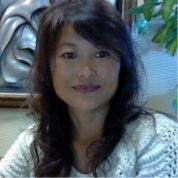 It has taken me almost ten years to decide to go ahead with a procedure and at the age of 44, i feel my hair loss is stable enough and i am realistic enough in regards to expectations and future progression. Day of the procedureI arrived at the clinic in good time and it was safe to say the nerves started to kick in a little, felt a little like the moments before a big match! We discussed the procedure, expectations and any questions I had, I was not rushed and made at ease almost immediately with The Hair Dr Clinic team. We then agreed the hairline and discussed my donor and beard area. I had no real desire to bring forward my hairline, as I didn't want to dramatically change the way I look, and this was taken on board when the hairline was agreed, in which i was happy with and ready to go.Following the consultation with Dr Arshad, I was taken to the room which seemed state of the art. They were 2 tecs and a patient coordinator alongside Dr Arshad whom was involved in all the process. My hair was shaved and numbing injections taken to start the procedure. The injections were a little nerving to numb the area however after a minute or so i couldn’t feel a thing Once the extraction was done, we had lunch and then Dr Arshad was ready to implant the grafts into my hairline. I have met Dr Arshad a few times before and know how much he prides himself on his work, and at points it was like seeing an artist in action. Constantly checking his work and hairline and seeing if i was happy with the work. The extraction and implantation seemed to fly by, I was that relaxed I fell asleep a few times. Once I was cleaned up I had a meeting with Som and Dr Arshad who talked me through some of the medicines to take that evening to avoid swelling and infection. The clinic provided me with an after care pack with instructions, medicines and lotions to help with my after care and a contact number I could call at anytime in case I had any questions which put me at ease.SummarySince the moment i arrived, the whole experience has been extremely positive. Dr.Arshad and the team were extremely professional and caring. I was felt to be made welcomed, never rushed and was put at ease in what is a big thing for most patients having an operation. The Hair Dr Clinic have been superb with the support and aftercare and I really couldn't of wished for a better experience. I am realistic in my expectations and hope the following months i start to see these. Everything was done to a very high standard throughout and gives me confidence that i will come away with a nice result. Thank you to Dr Arshad and The Hair Dr team!I will keep you all updated on my progress, please see the photos attached. Any questions, please do not hesitate ask and I will respond when possible. I hope my story and experience helps hair loss guys like myself know that there are options out there, after many years of research and seeing fellow professionals have a hair transplant it gave me the guidance and hope that I could get my locks back. Having been a professional footballer, I know what confidence can do for a player and hair loss has certainly knocked my confidence in the past. Playing in the premier league for over ten years allowed me to have the confidence however I have to admit, losing hair certainly knocked my confidence and I can now see why Rooney and even my former room mate David Beckham seem to do what they can to keep hold of their hair. No shame in this, even though in the UK there seems to be a stigma attached to guys and even women looking for ways to help with their hair loss problems. I have been researching the past few years at clinics in the UK and abroad with the help of forums. After numerous consultations I picked The Hair Dr Clinic in Leeds, a few reasons really for this choice, I was never pushed into making a decision, the surgeon was honest with his expectations and what really did it was he wanted to educate me on all my options and said come back if I wished. I found the approach, support, professional aspect and caring environment made me confident in choosing this clinic. I know through research that my donor area is quite weak and if I were to have a procedure it would be to frame the face and mid section in which I would be happy with as I like my hair short. The aim was to use my donor area and beard area to extract the grafts to achieve this. I felt confident this could be achieved and even got to meet some of Dr Arshad's patients in which the work looked great. It has taken me almost ten years to decide to go ahead with a procedure and at the age of 44, i feel my hair loss is stable enough and i am realistic enough in regards to expectations and future progression. Day of the procedure I arrived at the clinic in good time and it was safe to say the nerves started to kick in a little, felt a little like the moments before a big match! We discussed the procedure, expectations and any questions I had, I was not rushed and made at ease almost immediately with The Hair Dr Clinic team. We then agreed the hairline and discussed my donor and beard area. I had no real desire to bring forward my hairline, as I didn't want to dramatically change the way I look, and this was taken on board when the hairline was agreed, in which i was happy with and ready to go. Following the consultation with Dr Arshad, I was taken to the room which seemed state of the art. They were 2 tecs and a patient coordinator alongside Dr Arshad whom was involved in all the process. My hair was shaved and numbing injections taken to start the procedure. The injections were a little nerving to numb the area however after a minute or so i couldn’t feel a thing Once the extraction was done, we had lunch and then Dr Arshad was ready to implant the grafts into my hairline. I have met Dr Arshad a few times before and know how much he prides himself on his work, and at points it was like seeing an artist in action. Constantly checking his work and hairline and seeing if i was happy with the work. The extraction and implantation seemed to fly by, I was that relaxed I fell asleep a few times. Once I was cleaned up I had a meeting with Som and Dr Arshad who talked me through some of the medicines to take that evening to avoid swelling and infection. The clinic provided me with an after care pack with instructions, medicines and lotions to help with my after care and a contact number I could call at anytime in case I had any questions which put me at ease. Summary Since the moment i arrived, the whole experience has been extremely positive. Dr.Arshad and the team were extremely professional and caring. I was felt to be made welcomed, never rushed and was put at ease in what is a big thing for most patients having an operation. The Hair Dr Clinic have been superb with the support and aftercare and I really couldn't of wished for a better experience. I am realistic in my expectations and hope the following months i start to see these. Everything was done to a very high standard throughout and gives me confidence that i will come away with a nice result. Thank you to Dr Arshad and The Hair Dr team! I will keep you all updated on my progress, please see the photos attached. Any questions, please do not hesitate ask and I will respond when possible. Hope this helps. 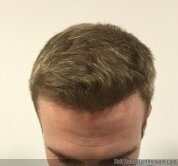 Hi all, I decided to do the FUE route 5 and 1/2 months ago after researching a couple of FUE recommended doctors from this website. I had narrowed down to Dr. Diep because I liked his hairline work and his results were fairly consistent with several YouTube examples to boot. I did not look outside US for personal reasons and I did not go FUT because I did not want the linear scar and option to keep my hair short. 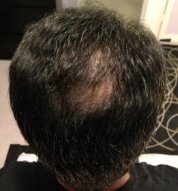 I am 38 y/o and started noticing hair loss in my 20s. Currently on Rogaine 5%, Propecia daily, Nizoral weekly. Started 5 Months before HT. I know I need more than this session and am planning for the next session in a year time. Summary of Follicular Units/ Hair count 1's = 769 769 2's = 1102 2204 3's = 505 1515 4's = 321 1284 Total = 2697 5772 Avg. = 2.14/ graft I don't know if all my growth is complete at this point, but I started noticing it around 4 Mo after the expected shed. I feel I am following the timeline posted here roughly. Anyway this is where I am today. I must thank David, Xtian for their guidance and support. Also Spex on his informative videos-as a newcomer it was a great reliable resource for me. This female patient was suffering from the effects of temple recession which is fairly common in even younger females, but rarely discussed. Dr. Josephitis consulted with the patient to discuss options for reconstructing her temples to regain her feminine hairline. A procedure of 1752 grafts using FUT accomplished the goal with one pass, as the density and design were appropriate given her characteristics and her requirements. This video has been produced in Ultra HD 4K resolution for the maximum level of detail visible. Procedure with Shapiro Medical Group upcoming! A little background. I have a 4,000+ surgery coming up in two months with Dr. Josephitis at Shapiro Medical Group and frankly have been thinking about it non stop for the last 10 months. I am a 5a, and looking to cover the front half, leaving the crown mainly open. I am currently wearing a hair system - which blows. the system, FYI, is very thin and my scalp shows through in any type of lighitng so as to prepare for transitioning away from system.This HT is the first step in the way of ditching this thing - atleast reducing the size to just my crown until I'm ready for procedue #2. SMG has informed me that I can wear the system after the procedure once 8-10 days have passed, as the grafts will have settled by then. Obviously, using clips so as to not adhere to the implanted area, with the idea that I will take it off at night, weekends (if possible), and obviously while I sleep. As for regrowth, it is my understanding that assuming I follow the Doctors orders, about 20% growth is realized after 3 mos, with 80% of the grows surfacing by month 6, but only 50%-60% of the overall cosmetic appearance will have taken affect at that time. Again, obviously this varies, but I want to make sure I'm understanding all of this correctly. Thank you! 4,000+ procedure with SMG in two months - what can I expect? A little background. I have a 4,000+ surgery coming up in two months with Dr. Josephitis at Shapiro Medical Group and frankly have been thinking about it non stop for the last 10 months. I am a 5a, and looking to cover the front half, leaving the crown mainly open. I am currently wearing a hair system - which blows. the system, FYI, is very thin and my scalp shows through in any type of lighitng so as to prepare for transitioning away from system.This HT is the first step in the way of ditching this thing - atleast reducing the size to just my crown until I'm ready for procedue #2. SMG has informed me that I can wear the system after the procedure once 8-10 days have passed, as the grafts will have settled by then. Obviously, using clips so as to not adhere to the implanted area, with the idea that I will take it off at night, weekends (if possible), and obviously while I sleep. As for regrowth, it is my understanding that assuming I follow the Doctors orders, about 20% growth is realized after 3 mos, with 80% of the hair has surfaced by month 6, but only 50%-60% of the overall cosmetic appearance will have taken affect at that time. Again, obviously this varies, but I want to make sure I'm understanding all of this correctly. Thank you! David, did Dr. Bhatti mention how many grafts were placed in your crown? I particularly like the last part the Dr. Josephitis mentioned... You've invested so much time and money into your hair transplant, and setting yourself up for the best possible outcome possible could be enough to motivate you to quit smoking altogether. Your overall health will thank you. Good luck with whatever you choose! lmao this is such a joke. 2 guys come on the forum calling the rest of us shills and back each other up. Phil backs David in this thread pushing the same agenda and David and the other 1 post guy are the only ones who know the great work of Phils clinic. On top of it Phils calling out a Dr for not having hair, is downright disrespectful and has no bearing on his skill as a dr. Can we get an ip check, these guys are one in the same. Any Information about Dr. Jason Champagne in Minnesota? Thank you for the suggestions everyone. Thank you for the suggestions Wazam. I heard about Shapiro group. But there are 3 names that come up. "Dr. David Josephitis, Ron and Paul Shapiro. I assume all of them are equally well reputed? I will tell my bro to try and consult with Dr Konior also. Hi Everyone, Firstly, thanks to all the members for sharing all of your experience and advice, it's been a pleasure to read, and also a great help to me. My hair loss began probably in my late teens, and was hardly noticeable at first due to my hair being so thick when I was young. By the time I was in my early 20's, my hairline had receded quite a way, and my hair at the front on the top was getting very thin. My hair loss shattered my self-confidence and i became extremely self-conscious about it. I would obsess over how my hair looked constantly, sometimes re-doing my hair over and over, trying to make it look ok before I left the house. Looking back on it I can remember how much it affected my daily life. It sounds kind of ridiculous now, but i remember doing things like only sitting against the window on one side of the train on the way to work so that the one side of my head (where recession was particularly bad) wasn't on show to everyone inside. It got to the stage where, in December 2014, I told my mum I'd like to try out finasteride/propecia/proscar to see if it would help me. I spent a lot of time withdrawn from social situations and it was really getting me down. I was aware of the potential sexual side effects (which scared the hell out of me) but was willing to try anything. My mum works in medical field and she told me, if i wanted, I could try a hormone called progesterone. It works in much the same way as fin (5-ar inhibitor) and would negate the effects of DHT, but without the side effects. As my dad used to do bio-identical hormone replacement therapy we had progesterone in the house, and I started taking 30mg every other day, on 24th December 2014. I have to say that progesterone did my hair so much good. I am not an expert and mostly went on what my folks told me as true (plus, my dad is also a GP) and it worked out well for me. From being wispy and thin at the front, much of the thickness in what hair remained returned. I could once again style my hair up (how i normally styled it in the past) although, where the hair had completely disappeared, there was no new hair coming through. I ended up with a Norwood 2/3, plus a pretty uneven hairline. Despite the improvement I still wasn't really happy, so i started to look into hair transplants. I quickly established that the UK wasn't the place to go, so I would have to travel. After trawling the net and looking around I was particularly impressed with Hasson & Wong. Luckily, my folks live in British Columbia and would be able to help me through the post-op period which was a deal. I saw H&W were doing consultations in London so I booked a consult with David (great guy btw) who took my pictures to send to the clinic. They came back and told me I'd be a good candidate and would probably need 2,500 - 2,700 grafts. I booked myself a slot and was told Dr. Hasson would be my surgeon for the procedure. I was going to quit my job anyway and I saw this as a great opportunity to do the surgery as I would need time to recover. Before I left I lined up a new job to start in July. Having to explain to my new CEO and a room full of directors that I couldn't start for 2 months because I was having a hair transplant was an experience!! Thankfully they understood and I had my window. On the 5th May flew out to the US for a golf trip and, on the return leg of my US trip, I went to Vancouver for the surgery. I planned to have the surgery, stay in Vancouver a week, then stay with my parents in Canada for just over two weeks. H&W include two nights in a (very!) nice hotel, but instead took what they would have spent on a room off my final bill, and I organised my own place to stay. I ended up renting a small apartment from airbnb in Kitsilano (close to the surgery) which was perfect for my needs and about $80 a night. On the day of my surgery I was due in the clinic at 7:30am. I arrived and filled in some forms and they performed a few rudimentary health checks like blood pressure readings etc. I then met Dr. Hasson and we spoke about potential hairlines, what would look best etc. He was very interested to hear that I had been taking progesterone and asked me lots of questions about it. He said that many patients were completely put off by the potential side effects of fin and he actually did look at progesterone, but hadn't had any patients try it out as yet. He said my scalp was a little tight but that the donor looked good (I was very lazy with my laxity exercises). He then drew 2 different choices of hairline, plus the option to lower each one down, giving a total of four options. I opted for the flattest, lowest line, which he told me we should be fine with the grafts we could get. Some of my native hair was shaved at the front, some photos were taken,I was given a valium, then taken for the strip to be removed. The injections do hurt but it's not the end of the world and there was no pain after that. I was talking throughout the strip removal procedure and Dr Hasson was encouraging me to talk as he worked. When I stopped blabbing I realised why. You can hear the scalpel cutting as the strip is removed - it was a dreadful sound! After they close the gap and staple you up, the technicians begin to remove the grafts. At this time, Dr. Hasson started to make the punches for the grafts to go into. He asked a technician to tell him when they were halfway done with the graft removal and how many they had gotten. After a while, she said something like 1,600 at halfway, so I knew we were looking good on graft count. Interestingly, during the whole process I didn't watch the TV once. Maybe it was the valium, but I was just happy to sit there as they worked and look out at the fantastic view of Vancouver from the OR. I just felt a sense of relief I suppose. That I was finally getting this done and I was pretty happy to be there. I ended up getting close to 4,000 grafts in the end. I can't remember exactly when we finished, but it was the evening - 7pm or something like that. They give you a loose fitting cap and a few pain meds and send you on your way. For me the first night was absolutely the worst in terms of pain. I think they gave me three percocet, all of which i took on the first night and they didn't really even touch the sides - the back of my head was reaaaallly tight and painful! Luckily, after that first night there was never pain that bad again, although sleeping upright for 5 days with staples in your head isn't very pleasant. I went in to the clinic every day over the next three days and had H&W wash my hair, which was a pleasure - the staff there are all fantastic and everyone has such a pleasant disposition. My entire face swelled up CONSIDERABLY on the third day as the solution they put into your scalp to plump it up during the procedure worked it's way down my face. On the Friday I flew to my folks' place (going through the airport wasn't great, I was still pretty swollen), and was there for a couple of weeks. I applied vitamin E oil on my scalp, day and night, which helped the scabs to come off just shy of 10 days. Having the staples taken out was absolutely amazing - being able to sleep on my side again was nice! I am now back in the UK and exactly 2 months on from surgery. I am happy I took so long off work (9 weeks) as the redness was very apparent for over a month. I am also blonde and have fair hair, which I don't think helps the redness situation. Pretty much all transplanted hair has fallen out and I am now trying my best to to be patient - it's very tough! Sorry for the large amount of text - I am trying not to miss anything out! Here's a breakdown of my 3898 grafts from the clinic: 1040 singles 2737 doubles 121 multi’s (3 and 4 hair follicular units) I've included pictures of: Hairline before the procedure (Top & Front x2) 1 day post (Angle, Top, Front) 6 day post closeup (Left and Right) 13 day post front 15 day post from 1 month post 2 months post (Today) EDIT: I mixed up the number of grafts on the main title - it should read 3,898 - not 3,989. I am not sure how to change this. Shapiro Medical is pleased to present a 1 yr result from Dr. David Josephitis. This patient wanted at least 3000 of 4201 grafts to address the frontal half with much lighter coverage to the back half. Multiple sessions were planned from the beginning to address total recipient area of over 200 cm2. This patient will schedule another session to address the crown soon. For now he can enjoy this stand alone FUT procedure that gives him a natural result. 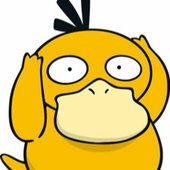 I am scheduled to have a FUT with Dr. Cooley in the beginning weeks of April. This website has been a great resource. I would like to acknowledge the wonderful work by the members of this community. Pat, Bill, David and Blake are doing a great job. Keep it up! After some in-depth research, I had 3 to choices that I was considering. All of them are members of the Coalition. I chose Dr. Cooley. I know I have made the best choice for me. I admire his passion and dedication to improve hair transplant procedures. The consultation by Lollie is wonderful. She has a lot of knowledge and is very helpful and informative. I will do my best to keep everyone posted about the procedure and progress. Wish me luck guys! Hi David, I also had a procedure with Dr. Cooley and have been using the ATP spray everyday and I'm at 20 days post op. I plan on using it until the bottle runs out. Do you find that people who use it for over a month continue to see good results or do they plateau at a certain point? Thank you David. I echo your words the whole experience with Dr.Cooley and his team has been outstanding and he certainly has a passion for ensuring ALL his patients have the best possible results! Great to hear the use of the ATP spray is giving your clinic good results. Personally i think this has helped tremendously in the whole healing. It's now 7 days and aside from some white'ish areas (which Dr.Cooley advises as being dead skin) the work still looks really clean and healing has been pretty rapid. Here is Dr David Josephitis's 1 year result of a happy patient who had 3130 grafts to address his Norwood class V hair loss.